Upcycling is a popular trend nowadays, but I think that Coffin Couches may be pushing the boundaries of taste. The couch you see above is created from a real life coffin– unused, thankfully. 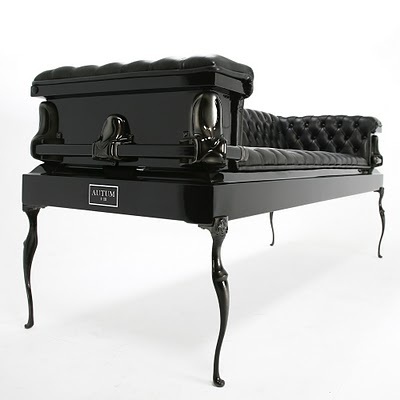 Los Angeles based company Autumn created the Heretic Coffin Couch using Italian black leather and there’s a limited run of three on sale (still available). They’re not the only ones to have gone the coffin couch route (perhaps just for the pun element?) 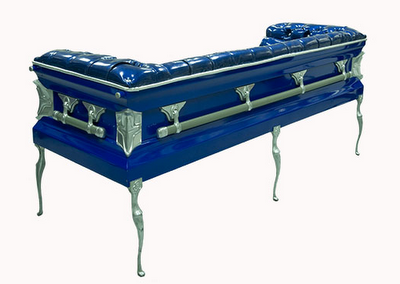 as the brand Coffin Couches also exists, upcycling flawed coffins bought from funeral directors. 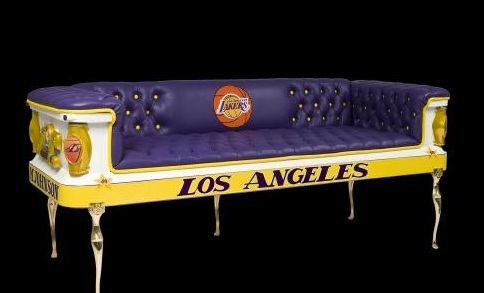 Health and safety laws prevent the resell of coffins to the public so the company was able to buy the coffins at a cheap rate, reupholster them and sell them on;- such is the apparent demand that they even have themed SPORTS coffin couches, for individuals who are Lakers fans till death do they part (sorry). Get the Heretic Coffin for $4500 from Autumn, and the Coffin Couches here from $3500.